The FPA does accept advertising from brokers, but the review pages for most of those brokers and many other advertisers do not support your claim. Any company the FPA has any relationship with gets the same or stricter treatment in the reviews. Can you explain why we keep getting emails from UFX Markets and UFX Affiliates from your location while you make no mention of being a UFX employee? How many times will UFX abuse the FPA's reviews and forums with employees pretending to be clients? 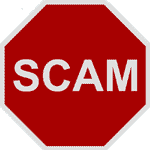 All funds have been refunded in to your trading account 3 days ago. Please make sure you delete it and write a new comment saying that there was no scam involved. UFXBank is not a scam company and your comment is not appropriate. UFXBank replied your email - I suggest you check you Junk mail. This is not a review - this is in response to Unagiinu, Japan. The withdrawal request was received and processed. It was sent to the user's bank account on the same day that the discriminatory post was left on this message forum. If there are still any issues, please contact me directly. Michael@ufxbank.com. I started trading in UFXBank a few days ago, they gave me some lessons over then phone and they are giving me a phone every day with things i should watch out from. They are good and the platform is good. I will report in the future. Review Moderation Team Note: 4 star rating removed. This is another fake review left from Israel. I would like to point out that the risk manager of UFXBANK's name is Vincent...I would not be surprise if LINDA and VINCENT claiming to be happy client of UFXBANK are both staffs of UFXBANK. 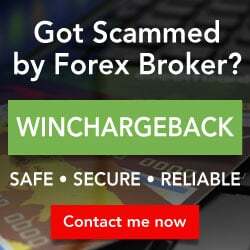 If you are not fake customer,ask your so call good broker why they have refused to remit my profit of over $11,000...my ufxbank username is gbenga..what do u call a broker that refuses to remit profit of over $11k??? Also note there have been several cases of UFXBANK staffs commenting on this review claiming to be happy clients. Then both Mr Micheal and Thomas apologise but disappeared into thin air when other unhappy clients ask both simple question why they have refuse to remit profit. UFXBANK PLEASE KINDLY REMIT MY PROFIT OF $11,717..ITZ BEEN OVER 2MONTHS NOW. 2010-01-15 No rating Eliisa lindroos: Am in total support of your point,this broker(UFXBANK) has refused to pay both my deposit and over 700% profit made. 2010-01-12 1 Star I funded my ufxbank acct in November 2009 and I was given 50% deposit bonus as their offer with condition of trading minimum 5,000,000 USD volume. As at 23/12/2009 I have traded 18,939.557 USD volume(nearly 4 times the required volume).I applied to withdraw my money and my profit but it was refused and they were claiming I have traded up-to the required Volume.I contested this,which the Ufxbank risk manager(Mr Vincent) admittedly and reply saying they can not process the withdrawal until after new year holiday because of the festive activities.He(Mr Vincent) also apologise and promise to even credit my account equity with 10% of the equity.I told him that the 10% or offer is not important because i need my Money urgent. On 4/01/2010 I made a withdrawal request and I sent a copy to their finance dept,my ufxbank acct mananger(Ms Amy Walsh) but no respond whatsoever and I did not recieve my fund either.I followed it up with a reminder email on 7/01/2010,no reponse too as well.I have call them several times only for them to either tell me I should contact the finance dept,the finance will direct me to acct manager and that one will direct me to risk dept, or they will give excuse that the finance dept has closed or the acct manager is in a meeting. I have all my transaction records and conversation records with this broker and its staffs. I also sent a message to Mr Thomas of Ufxbank on this tread but he did not reply to message either. My questions are do this broker actually exist?? How to charge possibly ghost staffs?? A company with forward mail address?? Also please is it possible to get actual adress of this company from the ''LONDON REGISTERED OFFICE ADDRESS''?? metropolitan police and National Fraud Authority. he ordered a gold deal .. It was a very clear he wants me to lose after failing to steal the largest amount ..
All I can say now is that we have reached a consensus with those from UFXMarkets Romania. I think that in this moment everything was resolved to solve. I hope that in the future the boys to be more cooperative and have patience to listen to what the customers say. I hope that in future no longer be needed another complaint because honestly my goal is not to me crying every day. I hope to have learned something from the experience unpleasant for both sides. All I can transmit those from UFXMarkets Romania that I can forgive, but .... I can not forget. Guys I have forgiven but not forgotten. Otherwise God will judge us and all. One good turn deserves another. 2014-10-07 No rating First I apologize for my English, but I hope to make myself understood. Everything I say is strictly related to UFXMarkets Romania. beautiful with them, do not comment and have the utmost confidence in them. Certainly not stay with any money. If you do have an opinion, totally not recommended, you will be made automatically Gypsies. If you are gypsy it be good or bad only they know, or Matei Constantin. too much on the phone with them it's not good. All are experts all talk as though at age two years traded on Wall Street. If, however, convince, at which time you can take your money goodbye, you will be bombarded with dozens of phones that will recommend trades that will be opened by phone.Here comes the second issue are all without any analysis Snape simply. The most they look great as always but always put STOP LOSS. In UFXMarkets all trading is without SL. Therefore your account has not the slightest chance. All trading strategy of the UFXMarkets to rely on your credit card. The higher the card account the more better. After all said I wish you success.